01 Apr 2019 --- Resistant Starch 4 (RS4) is the latest ingredient to be added to the list of approved fibers from The US Food and Drug Administration (FDA) under the new Nutrition Facts labeling regulations, which are set to begin in January 2020. As the initial list was released last year, MGP Ingredients submitted a citizen’s request for RS4 to be included in the definition and, this request has now been fulfilled as the agency has confirmed that RS4 sources will be added to the definition of dietary fiber. The move means that the company’s flagship brands Fibersym and FiberRite can be officially counted as fibers when calculating a product’s fiber levels as displayed on the labeling. 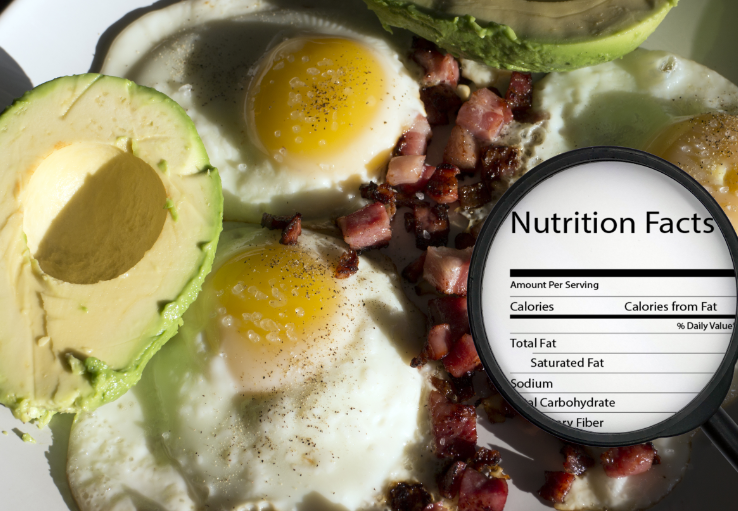 The announcement for the initial list of eight approved fibers from the FDA came in June 2018, as the government group issued guidance on which identified specific fibers can be classified as “dietary fibers” on the upcoming Nutrition Facts Label. This marked the end of two years of uncertainty for manufacturers. In 2016, the FDA initially announced a new regulatory definition for dietary fiber and stated that to be considered a source of fiber, isolated or synthetic non-digestible carbohydrates must have a demonstrated physiological health benefit. 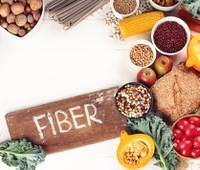 “The FDA recognition of dietary fiber status to a fiber ingredient is very important to fiber companies because it allows the dietary fiber to be counted in the nutrition facts label of consumer food products. FDA-approved fibers will resonate well with consumers because of their demonstrated health benefits. Time is of essence in getting FDA approval because the compliance date of January 1, 2020 is fast approaching. Our current customers, and all future customers, now have the total assurance that as they engineer and innovate their new food products, their dietary fiber content is well supported by MGP and now the FDA too,” Ody Maningat, PhD., Vice President of Ingredients R&D and Chief Science Officer at MGP Ingredients, tells NutritionInsight. The original 2018 list of eight fibers were mixed plant cell wall fibers (a broad category that includes fibers like sugar cane fiber and apple fiber, among many others); arabinoxylan; alginate; inulin and inulin-type fructans; high amylose starch (resistant starch 2); galactooligosaccharide; polydextrose; and resistant maltodextrin/dextrin. Manufacturers of these fiber ingredients responded positively to the news. Various food manufacturers had reportedly been waiting on the announcement to finalize NPD projects in various areas related to gut health and sugar replacement. Speaking to NutritionInsight at the time of the announcement, Vanessa Curto, Health Communications Specialist at the FDA, revealed that there were three applications on hold to be recognized as fibers. One was from MGP Ingredients requesting Modified RS4 (modified wheat starch) ,while the other was an AIDP request for Xylooligosaccharides (XOS) and lastly, a request from The Food Lawyers [a boutique law firm] for konjac flour. Click to EnlargeSo far, only MGP Ingredients has had its request approved. NutritionInsight, has reached out to the other companies in question. Also included in the RS4 cateogry is Ingredion's VERSAFIBE 1490 resistant starch, a spokesperson notes. The FDA informed MGP Ingredients that it will expand its list to include the RS4 ingredients and that it will exercise enforcement discretion until it completes its rulemaking, thereby amending its regulations on the definition of dietary fiber. With this action, Fibersym and FiberRite can continue to provide dietary fiber benefits on food labels to support the growing opportunities for healthy food applications. Fibersym is a granular RS4 wheat starch that delivers a minimum total of 90 percent dietary fiber (dry basis). The fiber exists primarily as insoluble fiber which can be formulated in a wide array of foods with minimal processing adjustments. Possessing a clean flavor, smooth texture and white appearance, in combination with its low water-holding properties, Fibersym can be incorporated in foods that emphasize benefits related to end-product quality and health and wellness attributes, the company describes. FiberRite is the cooked version of Fibersym with a minimum total dietary fiber of 75 percent (dry basis). It delivers both nutritional and functional benefits in many food products, such as fiber fortification, fat replacement and calorie reduction. Following the FDA confirmation, the company is “ready to support all industry partners in providing this long-standing dietary fiber as they create the best food brands possible while complying with the new nutrition facts labeling regulations set to begin in January of next year,” says Michael Buttshaw, Vice President of Ingredients Sales and Marketing. Although previously the compliance date for manufacturers with US$10 million or more in annual food sales was established as July 26, 2018; this was extended to January 1, 2020. In the case of manufacturers with less than US$10 million in annual food sales, the compliance date was set as July 26, 2019, but now it will be January 2021. “This is our first overhaul of the food label in more than 20 years. It’s aimed at making sure that consumers have access to an updated label that’s based on updated science and provides more information to empower them to choose healthful diets,” says Dr. Scott Gottlieb, FDA Commissioner. He adds that it is crucial for the FDA to provide clear expectations so that industry can meet the US government’s new labeling requirements. Fiber is a huge trend of 2019, with consumer knowledge around its benefits increasing and manufacturers engaging in fibrous NPD. Innova Market Insights has also tipped “A Fresh Look at Fiber” to be a key trend this year. According to a consumer survey (2018) conducted by Innova Market Insights, 44 percent of US consumers are increasing their consumption of fiber, with 33 percent of UK consumers doing so, as well. At the same time, 21 percent average annual growth has been reported in new product launches carrying a fiber claim.